Our team comprises a group of senior research consultants from a diverse range of disciplines. Each of us has a minimum of 20 years’ consulting experience and we are all committed to delivering high-quality research solutions to our clients. Strategic Planning – Advanced Management Programme, University of NSW. Nicky has over 30 years’ experience in market research in the United Kingdom and Australia and has designed and implemented successful research projects in almost all industry sectors. Nicky has extensive experience in strategic research, branding, market segmentation, new product development and customer needs analysis. This is coupled with a strong background in the technical aspects of developing and establishing models to distill information to actionable insights. Nicky’s role is predominantly research design, exploring and reviewing the value and applicability of new techniques and developing strategic insights. She is excellent at seeing the bigger picture and workshopping problems with clients, getting to the heart of the problem, identifying alternative courses of action and recommending the best path forward. Many of her clients have been with the company for more than ten years. Nicky’s background in economic modelling underpins her commitment to quality and rigor in all projects and she has presented a number of national conference papers on topics such as understanding the customer and service optimisation. 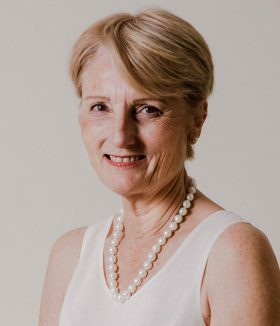 In 2013, Nicky was made a Fellow of the Australian Market and Social Research Society in recognition of her professionalism and contribution to the industry. Today, she is one of the few Fellows actively practising in Western Australia. 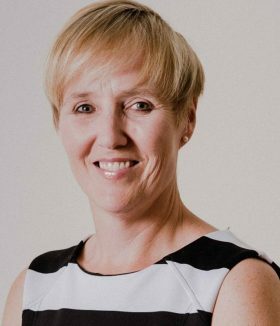 Nicky regularly consults to and runs workshops with Directors and Director Generals of government departments, CEOs of local government and senior management in the private sector. Working in close co-operation with clients, Tracey plans each project to ensure a seamless flow of information that keeps everyone fully informed. Her background in local government provides a unique understanding of how to navigate and communicate with various stakeholders, ranging from elected members through to community groups, residents and ratepayers. Her experience allows her to anticipate potential obstacles ahead of time, ensuring projects are completed on time and on budget. 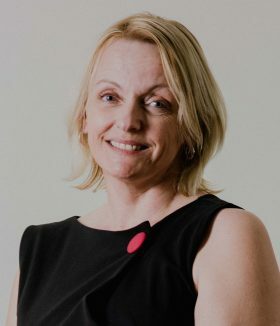 Tracey’s work has encompassed workshops and presentations with senior management including the C-Suite, elected members, community groups and representatives and customers. She has forged long-term relationships with many of our large clients – for some she is the custodian of the customer relationship history and is regularly consulted as the voice of their customers when new or revised strategies are being developed. Tracey also has extensive experience in product and service optimisation, determining the optimal service levels and mix of products to maximise customer satisfaction. This type of research is ideal in taking customer service delivery to the next level and delivering world’s best practice. 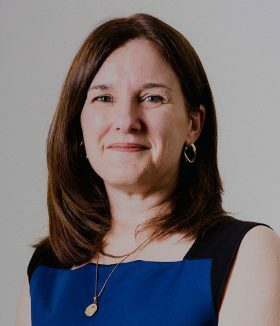 Beth has thirty years’ experience in the market research industry, beginning her career as a research buyer in the financial services and insurances sector. She brings that understanding of client-side challenges to her role as a consultant and today Beth’s experience stretches across all aspects of market and strategic research. Beth’s passion and unique skill is with numbers and statistics, building models to condense data to real insights. She is at the front of her field in research and questionnaire design, tapping into the latest research and techniques to deliver real value to her clients, presented in a visually appealing, meaningful way. Beth has a deep level of knowledge of customer journey mapping and customer satisfaction research. She has extensive experience designing programs to measure customer satisfaction at touch-points and incorporating feedback loops for clients to run in-house. Beth’s projects all achieve maximum response rates and her focus on quality and rigor ensure that no data insights are lost along the way. Never content with the status-quo, Beth is always searching for ways to extract more meaning and deeper insight from a data set. Beth’s background in HR has given her an understanding of the importance of employee well-being and the employee climate. She recently completed a leading-edge study with a major international resource company which has become a benchmark for excellence in understanding the mental health and well-being profile of the workforce. This study achieved a record response rate, identified risk factors and vulnerable groups and enabled the company to direct resources to the appropriate priority areas. elicit frank and open discussion. exploring West Australians’ attitudes to water assets. Linda recently completed a ten-day consultation exercise in the north-west of WA, conducting in-depth interviews, running workshops, listening posts and simultaneously hosting an online community forum. The exercise engaged more than 400 people including business leaders, high school students, leaders from the indigenous community, FIFO workers and residents and generated significant discussion about the community’s challenges, opportunities and aspirations.